Recent federal reforms aim to help youth in foster care reach their educational goals. December has been a big month in the federal government for education policy reform to help support young people with foster care experience as well as other at-risk youth. The passage of the Every Student Succeeds Act (ESSA) and the introduction of the Higher Education Access and Success for Homeless and Foster Youth Act will bring positive changes and protections for vulnerable youth with regards to their education and wellbeing. Earlier this month, President Obama signed the ESSA (S.1177) into law, largely replacing the No Child Left Behind Act (2002), making many important changes to education policy for the first time in more than a decade. The Act includes education protections for all youth, but also includes provisions aimed at youth in foster care and the juvenile justice systems. 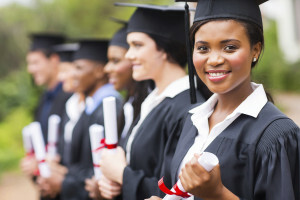 The instability in the lives of many children involved in foster care can result in educational challenges, and according to the Educational Law Center in Pennsylvania, research shows that even one fewer foster care placement change can double the likelihood that a student in foster care will graduate from high school. Allow youth in foster care to remain in the same school even when their foster home placements are changed. Require schools to immediately enroll foster children when they move to a new school. Require points of contact in every state education agency as well as many school districts and that plans for school transportation are developed for youth in care. Ensure timely re-enrollment in education placements for youth returning from juvenile justice placements and transfer of secondary credits to the home school district upon reentry. Require transfer of secondary credits to the home school district upon reentry. Provide targeted services for youth who have come into contact with both the child welfare system and juvenile justice systems. Make funds available for programs for at-risk Indian youth, including those in correctional facilities. These points above are a summary from our partners at the Juvenile Law Center, for more info on the ESSA see their press release here. Eliminate unnecessary barriers to receiving needed financial aid by removing the requirement that this population must have their status recertified, clarifying that they are “independent students,” and explaining that foster care services and support do not count as “income” when determining financial aid. Assist with housing needs by supporting young people in the creation of housing plans to access these resources as well as providing housing options between school terms. Collaborate with agencies and providers to reach out and recruit young adults that are homeless or in foster care. Provide support through a designated point person at colleges and universities to assist youth that are homeless or system-involved. For more information, read the full text of the bill and Senator Murray’s press release. Check back after the holidays for updates as we track these federal reforms and state child welfare reforms in upcoming session of the Nebraska Legislature.